In terms of saving the environment, the Japanese Nuclear Regulation Authority advised to freeze soil around the damaged reactor buildings at the Fukushima nuclear power plant. 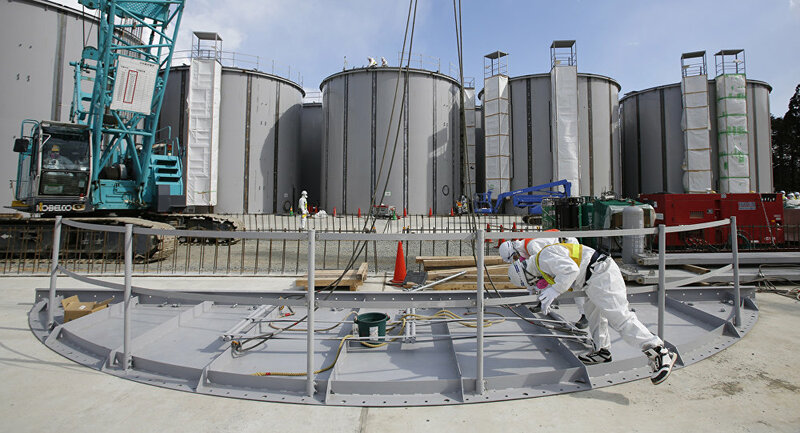 TOKYO (Sputnik) — The Japanese Nuclear Regulation Authority approved a plan on Wednesday to freeze soil around the damaged reactor buildings at the Fukushima nuclear power plant to prevent contaminated water from leaking into the ocean, local media reported. According to the Kyodo news agency, the plant's operator Tokyo Electric Power Co (TEPCO) will commence filling the underground wall around the first and forth reactors with coolant on Thursday. The plan will be applied to the entire east side of the Fukushima plant, which faces the ocean, and to most of the west side also. TEPCO started to construct the wall in mid-2014 as a part of a $309-million project. It will reportedly take eight months to complete the project to freeze the soil. The Fukushima Daiichi nuclear disaster took place on March 11, 2011, and was triggered by a magnitude 9.0 earthquake and subsequent tsunami. The accident is considered to be the world's worst nuclear disaster since Chernobyl. According to TEPCO, the cleanup operation, including the dismantling of the plant's reactors, may take up to 40 years to complete.